I bet you thought I forgot about you. Maybe it even crossed your mind that I don’t care about you anymore. Well, you would be wrong on both counts. I have missed you and our chats. I want to know what is on your sewing table. Mine has been overflowing with pillowcase dresses for Dress a Girl Around the World, a few pairs of knit pants, and some new knit tops. 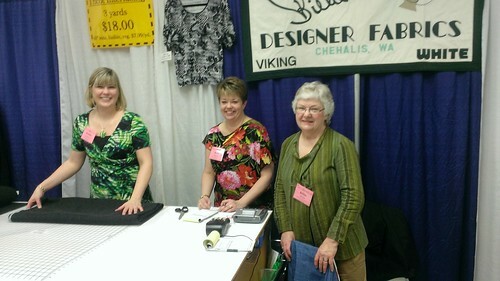 Sew Expo also came and went, and my teaching schedule has been over-full. As usual, I have spent not-nearly-enough time in my garden coaxing early spring vegetables to sprout and grow. Yes, dear readers, life has indeed gotten in the way of our relationship. But here is something fun for you! 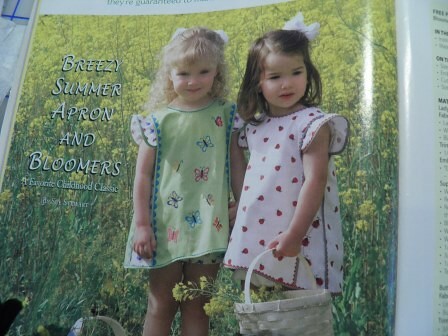 I found this sweet and (sort of) simple dress pattern in an old Sew Beautiful magazine (yes, I still have all my old copies!) last summer. 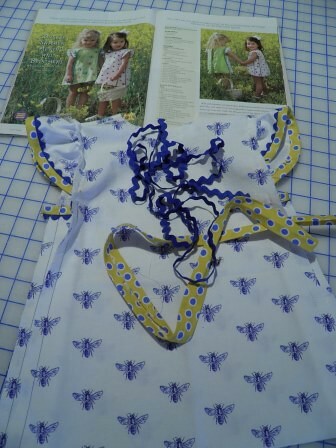 I thought it would make an adorable dress for my DGD, so I ordered the perfect bee print fabric from an Etsy seller to honor her middle name,which is “Buzz”. I say “sort of simple” because lining up rick-rack over the seamline and then binding all the seam allowances does not really qualify as simple in my book, but the dress pattern design lines are simple and there are only 4 pattern pieces. Soooo, simple design lines, with a fairly fiddly construction. And of course purchased seam binding was not going to do for this dress, either, so I made it from a complementary print. I hope to get this dress finished this week even tho it will be too cold to wear it for some months around here. Maybe with some leggings and a T-shirt underneath it could work before August! 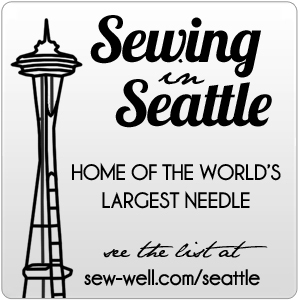 What are you sewing these days? 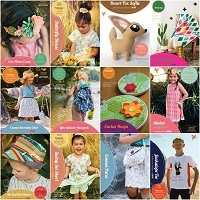 Share your sewing adventures, I’d love to hear about your projects! Did you shop like Ivana Trump at Sew Expo? B- Industry Insider Techniques for Garment Sewing (Louise Cutting) Needs to update herpresentation. Not much that was new to me, but I did like her method for easing in a sleeve. Also she should use a video cam or some projection system so all attendees can actually SEE what is being demoed. 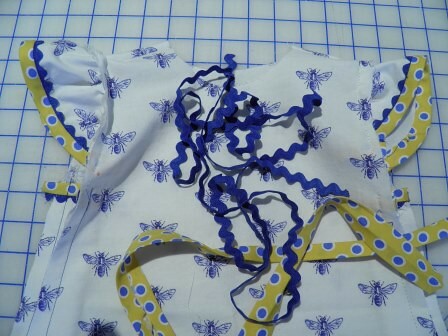 C- Stabilizers – The Backbone Behind Stitching. This was heavily slanted for quilters/crafters. Teacher knew her stuff, but garment sewists can feel free to bypass this one. A No Pins, No Basting, No Kidding (Islander Sewing System). Good presentation using a video cam so it was easily seen by all participants. And great techniques! A++ Thread Therapy with Dr. Bob. He was funny, organized, and so dang knowledgable. Learned a ton and laughed a lot! A The Ultimate in Under Things (Jan Bones). Those Canadians are a hoot. 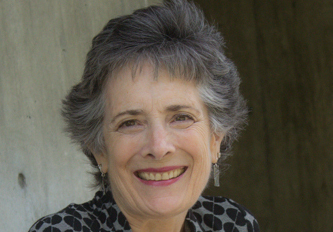 Debra Justice, Ce Podolak, Jan – they are all excellent teachers. Not to mention funny as hell! Take any class they offer. A Cover Hem Workshop. Very good hands-on class and Gail Yellen was a great teacher. My goal for this year is to push the envelope a little more on my serger, and I got a good start in this class. C- Designer Serger Techniques. This hands-on workshop turned out to be techniques only for knits, and very little of it qualifed as “designer” IMHO. No way was this worth $70. Narrow hemming with decorative thread = “designer” ? More like “basic utility stitch”!! The “After Expo Banquet” on Saturday night was festive(as usual), and the opportunity to be surrounded by my “tribe” of fellow sewing nerds for a few days is always inspiring and exhilirating. What am I looking forward to at next year’s Expo? I am thinking maybe I should enter the IPCA Sewing Contest. You know – challenge myself a little. What do you think? The hands-on workshop can definitely be worthwhile. I think I will try more next year. What did you think of Expo? What do you want to see more/less of next year?